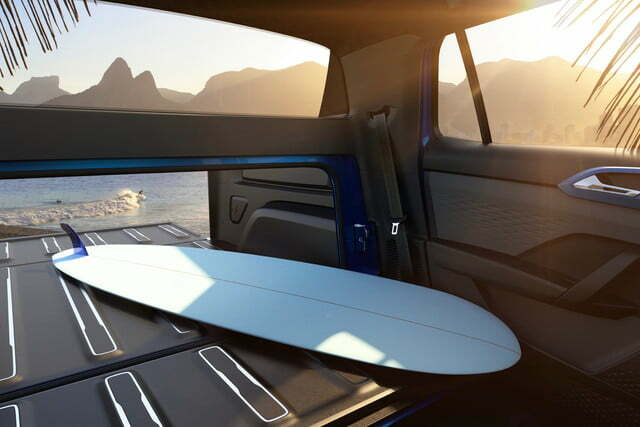 This is the second year in a row that Volkswagen will bring a pickup truck concept to the New York Auto Show. In 2018, it unveiled the Atlas-based Tanoak concept in the Big Apple. 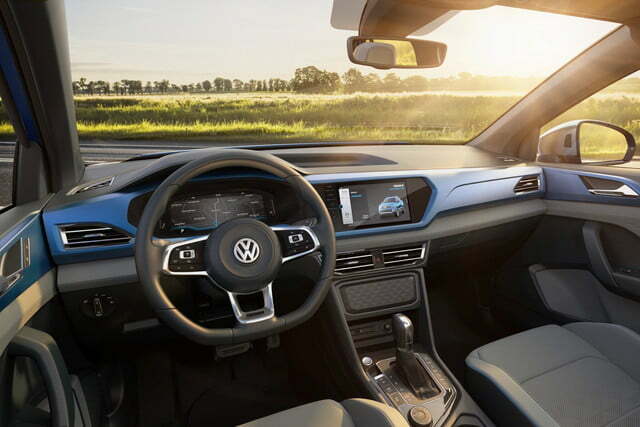 At the time, Volkswagen executives said no decision had been made on a production pickup for the U.S., and it doesn’t seem like the automaker is any closer to making a decision. 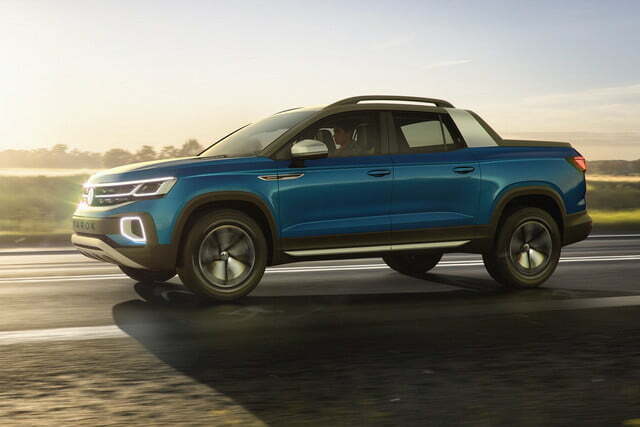 A production version of the Tarok is expected to launch soon in South America, but Volkswagen said there are “no plans” for a U.S.-market version. 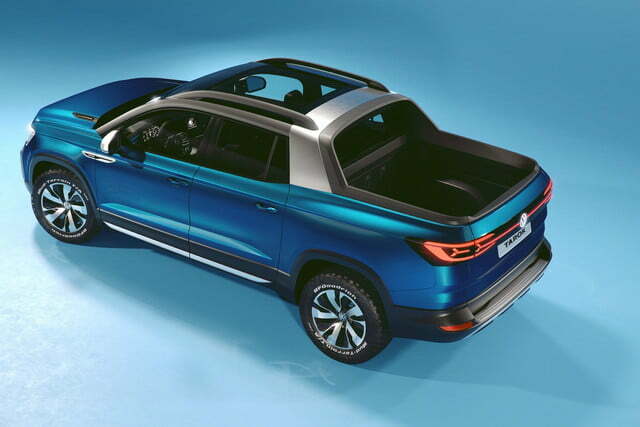 The concept will be shown in New York just to see how people react to the idea of a VW pickup truck. It’s unclear if the Tarok would work in the U.S., anyway. It’s based on the same MQB platform as the Atlas-based Tanoak concept, but is smaller than that truck. While the Tanoak was close in size to midsize trucks like the Ford Ranger and Jeep Gladiator, the Tarok is a compact truck of the kind that hasn’t been sold in the U.S. in years. At 47.5 inches, the bed is shorter than that of any pickup truck currently sold in the U.S. However, opening a pass-through to the cabin and folding down the rear seats adds 25.8 inches of bed length. Volkswagen borrowed that trick from the long-defunct Chevrolet Avalanche. Payload capacity was quoted at 2,271 pounds, but Volkswagen didn’t quote towing capacity. The Tarok concept is powered by a 1.4-liter turbocharged four-cylinder engine. Producing just 147 horsepower, it doesn’t come close to matching the engines of other U.S.-market trucks. The engine is connected to a six-speed automatic transmission with all-wheel drive. The all-wheel drive system includes multiple driver-programmable modes, including an off-road mode. Inside, the truck features a 9.2-inch infotainment screen and a reconfigurable digital gauge cluster. 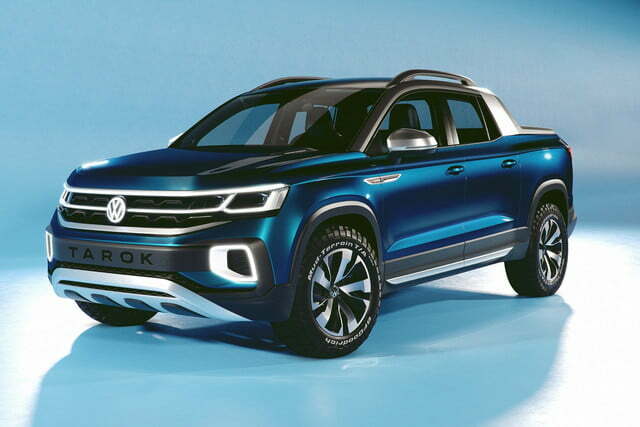 The appearance of the Tarok concept at the 2019 New York Auto Show indicates that VW is leaning toward bringing a pickup truck to the U.S., but it’s hard to tell what kind of truck we might get. The Tarok is likely too small, unless Ford follows through with rumored plans to bring a smaller truck here, which would create a new market niche. A wide-ranging deal between Volkswagen and Ford will produce a VW-badged pickup based on the next-generation Ranger, but that model may be reserved for foreign markets. Meanwhile, Volkswagen will bring a second concept vehicle, the Atlas Basecamp, to New York. The Infiniti Qs Inspiration sports sedan concept will debut at the 2019 Shanghai Auto Show. Infiniti said it was designed for electrified powertrains, meaning hybrid or all-electric.